Google has posted a video on its developer’s YouTube channel explaining how its TV service will work. While it is put together from a developers perspective, the video gives insight into how the service will work in all its glory in the US. 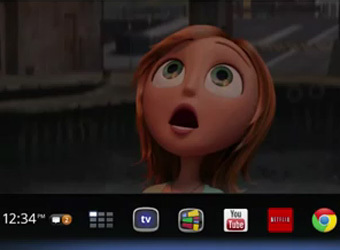 According to the video, Google TV runs on Android’s Honeycomb operating system. It will work with a Google TV device, cable and satellite content, an internet connection and online content. In the US some of the core services delivered through the system include live TV, Google TV’s TV and movie content, YouTube, Netflix, web browsing via Chrome, apps via the Android Market and other global content. Uses will be able to use their Anrdoid phone or iPhone as a remote for the service. Developers will be able to tweak smartphone apps for delivery on the big screen and use HTML5. Marketing contacted Google Australia to enquire about release dates for the Australian market, but the company declined to comment. UPDATE, 2.50pm, 30/03/12: The video below was initially viewable publicly, but has been changed to a private video by its owner – YouTube channel GoogleDevelopers.